Canada is looking to speed up the phase-out of its older railcar tankers. These are railcars that are flawed and scheduled for retirement from the fleet. Transport Minister Lisa Raitt is looking to retire the cars ahead of proposed US timetables. These DOT-111 tank cars have been held responsible already for several fiery derailments. "I would go as far to say five years is a long time as well," says Raitt. Why not just repair the old cars? The Railway Supply Institute has already estimated it might take as long as ten years to get the fleet back up to speed. Last month a new proposal for weeding these tankers out was put forth, that is if certain ethanol and crude tankers could be modified first. BNSF Railway Co., a unit of Warren Buffett's Berkshire Hathaway, already said it is working on a seven-year phase-out plan. As oil production ramps up here in the US and in Canada, crude-by-rail services are under more and more pressure to deliver services. As such, they have come under fire for a series of accidents including one that is responsible for killing 47 people in Lac-Megantic, Quebec last summer. 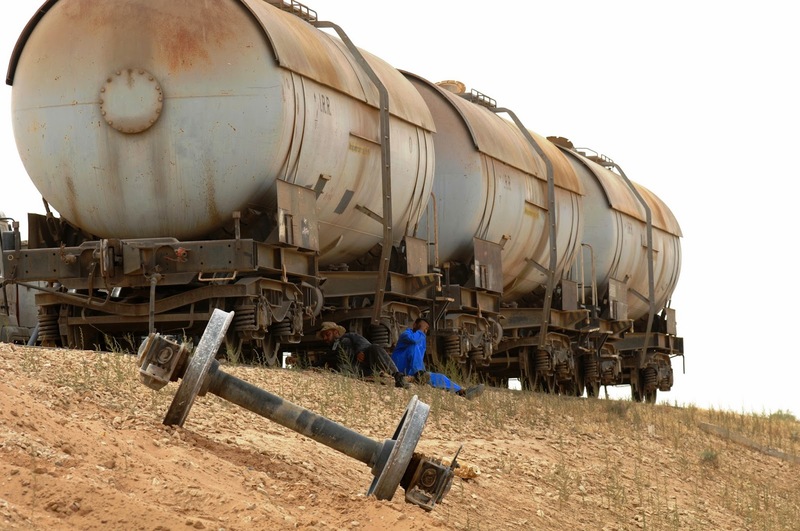 That accident involved a DOT-111 railway tanker car that was not updated to meet new industry standards implemented in October 2011. Right now in North America there are an estimated 228,000 of these older cars. 92,000 of these are used to transport dangerous, flammable liquids. You can see the urgency in moving up the retirement date, especially for these railcars. "We need to get to a point where we have a plan on phasing out these DOT-111s and that's the importance of next week for me," says Raitt. "Make no mistake, we will be phasing out these older DOT-111 cars." Raitt and US Transportation Secretary Anthony Foxx will meet in Washington next week to discuss the matter further. Claude Mongeau, chief executive of Canadian National Railway Co., said earlier in the year that these CPC 1232 railcars are safer, with just a 50 percent chance of failure when compared to the DOT-111. BNSF, which also suffered a fiery derailment at the end of 2013, says it has opened up the bidding process from railcar manufacturers for as many as 5000 what they call “next generation” taker cars. The safety features on these surpass even those built after October 2011.